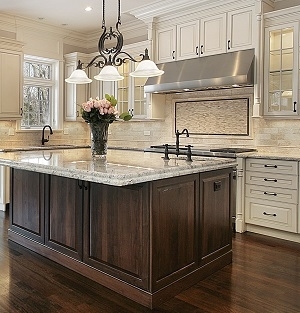 The key to successful results for kitchen remodeling in Long Island is twofold. You must make changes that improve the beauty of the living space. As the same time, you need to make renovations that enhance and improve how you use the room on a regular basis. The starting point for achieving both of these goals is the countertop. 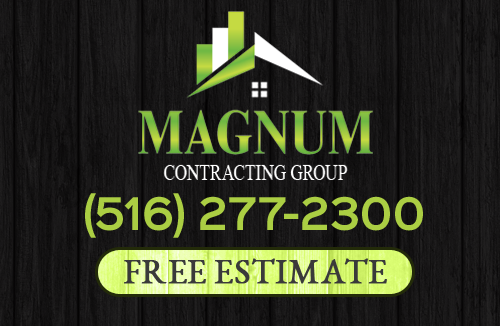 At Magnum Contracting Group, our Long Island kitchen remodeling contractors are here to help you with the entire effort. We can provide you with the advice and information that you need in order to choose the best countertop material for your project. Together, we can achieve the most rewarding and longest lasting benefits. When you walk into your kitchen, the first thing that you notice is your countertops. They have a dramatic impact on the look and feel of the living space. All other aesthetic changes that you make to the area will fall short if you are not satisfied with the beauty of your countertops. At the same time, these features are the primary workspace in your kitchen. As such, you need to install countertops that can stand up to the unique ways in which you use the room. Our Long Island remodeling contractors have provided the following guide to help you get this project started. We can expertly install any of the following amazing countertop materials for you. Some of the most popular kitchen countertop materials are made from natural stone. The two forerunners in this category include granite and marble. Marble countertops provide a classic Old World appeal that looks great in both traditional and modern kitchens. The gravitas and natural grain of granite is unsurpassed. Far too often, people fail to consider installing wood countertops in their kitchens. The natural warmth and beauty of wood works great in many design schemes. Wood surfaces are also more forgiving than their natural stone counterparts. With our help, you can choose a wood countertop that will stand up to the moist environment of the kitchen. Ceramic tile countertops are a great option for Long Island homeowners who want to install something truly unique during their kitchen remodeling project. The size, shape, color, and finish of kitchen tiles gives you boundless possibilities for designs and pattern. Our professionals can help you select the tile countertop materials that will work best for you and your family for the long term. If you are looking for an expert for kitchen remodeling in Long Island, then please call 516-277-2300 or complete our online request form.